Rain almost always brings small flying creatures out. 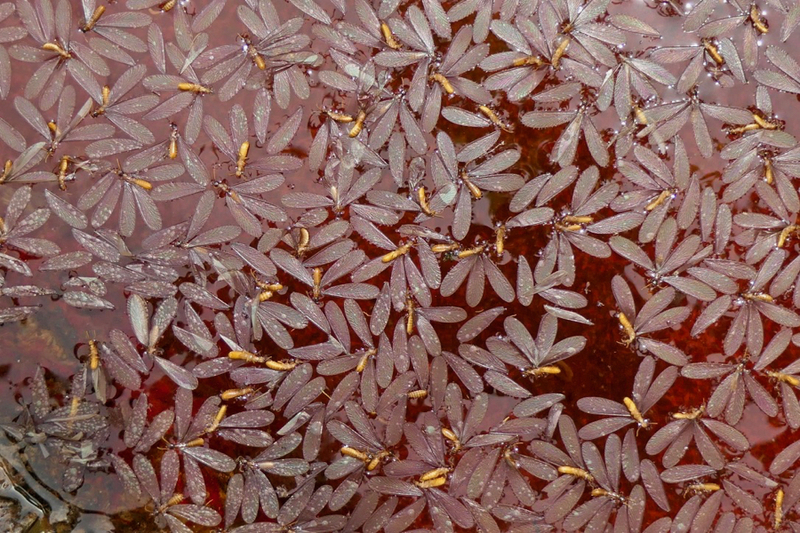 In this case the surface of our birdbath was covered with winged termites. Ants had a field day recovering and removing this source of protein (or whatever attracted their interest).